The vast number of POV action camera models in the hands of consumers today readily creates the need for accessories such as gimbals for image stabilization. Let’s face it; no one is using a GoPro Hero3 or Sony Action Cam to take wedding photos. The more likely reality is that such cameras will be mounted to helmets, handlebars, every imaginable RC platform and even a few dogs perhaps. Capturing nice stable images without having a steady hand on the camera itself is left to the inner workings of a brushless gimbal. 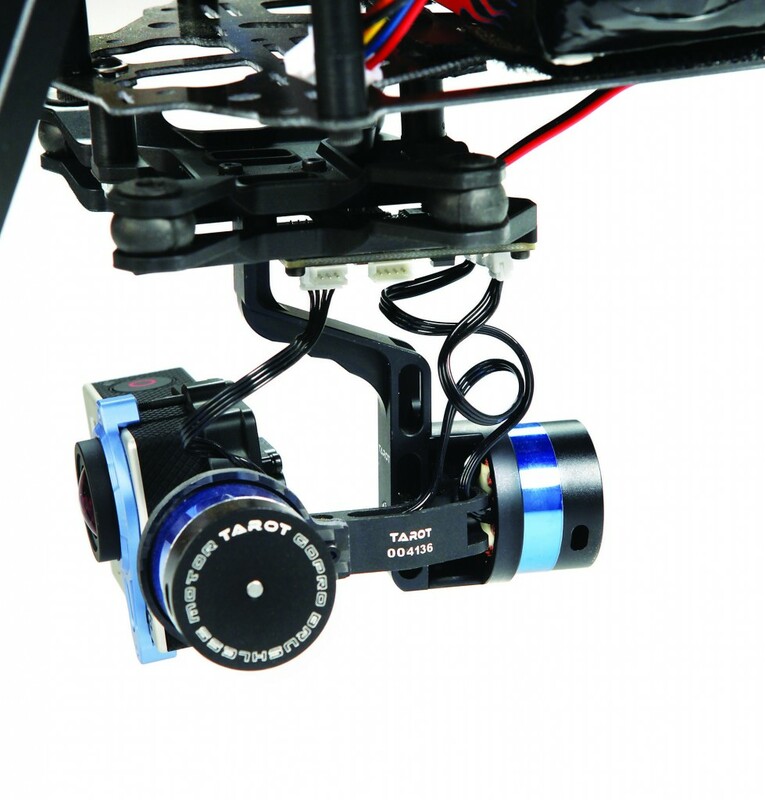 Tarot more than fulfills that need with the release of their T-2D 2-axis brushless gimbal. It features a mounting plate that is specifically designed for the GoPro Hero 3 cameras. The T-2D is fully-programmable and features a USB port for quick and easy firmware upgrades. 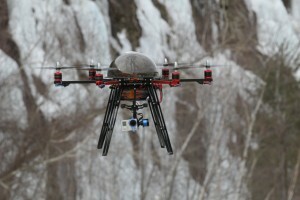 It includes two separate motors to compensate for pitch and roll of whatever device the gimbal might be mounted to. The range of the motion on the gimbal is quite large in that it can point the camera straight down to almost full vertical. Not that an RC machine should be tossed around at such steep angles, but the gimbal’s controls can also be set up to be controlled by the transmitter, allowing for separate pitch and roll attitude directly from whatever radio you might be using. The mounting plate for the gimbal is a two-piece frame that is separated by rubber grommets. Different from most other gimbals, the T-2D employs an arm that by-passes the lower frame plate and mounts directly to the upper frame. This does two things. First, it decreases the chance of the whole unit breaking free from the airframe during a crash or hard landing. Second, it is pushing on the grommets, compressing them, rather than pulling them apart as in normal mounting fashion. The fine folks at Tarot believe that this method offer superior stabilization and ultimately, better quality pictures and video captures. The board is also mounted safely in between the two frames and comes with a pre-soldered power lead so there is no question regarding the polarity of the board when powering it. 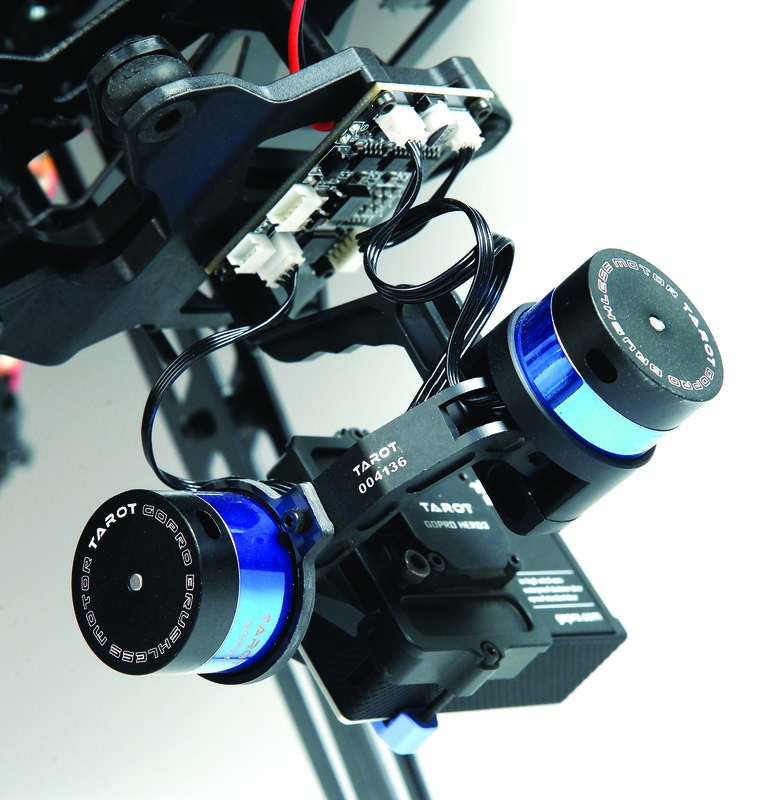 For our testing purposes, the Tarot T-2D gimbal was mounted to the belly of a Hobby Express Hextreme 550 Hexcopter. While there was no specific mount on the battery box of the multirotor, the box has a multitude of extra holes designed to lighten the weight of the aircraft that may also be used for gimbal mounting. Using a few ten millimeter spacers that we had left over from a previous build, we were able to safely mount the T-2D on the bottom of the battery mounting box, towards the front of the 550 airframe. After three battery packs worth of flights and putting the gimbal through much tougher conditions that it’d normally be subjected to; we are happy to report that every video clip came back with no jello or wobbles. Even under hard acceleration straight vertical, there was no resonance detected on the film from the motors or props. The T-2D held our GoPro Hero3 perfectly stable during all aspects of our flights. It seems that just about everyone has a GoPro camera (or something similar) these days and I’d bet that the majority of those users have been suffering from shaky video or pics since their initial purchase. Tarot looks to bring some stability to the POV camera world with their T-2D 2-axis brushless gimbal. No matter what environment it might be employed in or to what machine it might be strapped, the Tarot gimbal is sure to bring your video or still shot capturing and rendering to a whole other level. Get yourself stable by getting yourself a gimbal!